﻿New Expanded Distribution Channels added! 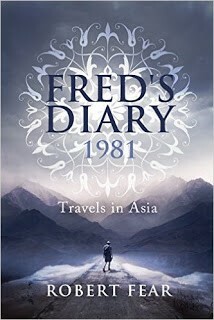 ​Take this unique opportunity to absorb yourself in Fred's daily memoirs, which detail the 158 days he spent travelling around Asia. Travels in Asia - a dream fulfilled? Have you ever dreamed of travelling around Asia? Then this could be the book for you. Fred's Diary 1981 has been voted a Semi-Finalist in The Kindle Book Awards! ​Click The Image To Learn More! Judy Testard Bauer - Maretha Botha - Cinda Brooks -Sarah Jane Butfield - Lucinda E. Clarke - Judian TJ Cooney - Matthew Dexter - Jill Dobbe - Jacky Donovan - Anne Durrant - Robert Fear - John Findley - Jean Gill - Julie Haigh - Beth Haslam - Graham Higson - Doug E. Jones - Susan Joyce - Richard Klein - Frank Kusy - Shirley Ledlie - Fran MacIlvey - Nancy McBride - Patrick J. McNeill - Renee Moon - Gareth Nixon - Jeremy Parris - Jackie Parry - Ann Patras - John Rayburn - Kelly Reising - Charlotte Smith - Francene Stanley - Val Vassay. 5.0 out of 5 stars Fascinating and detailed. I really enjoyed this travel diary which Fred kept as he journeyed firstly to Hong Kong then on to Thailand where he regrettably ended up in jail. After being deported he records his time in both India and Nepal. If you are looking for a travel guide this is not the book for you but it does give an insight into the reality of how it was for young western travellers over 30 years ago. Every day Fred would jot down all the details of what he did and saw or even ate. It was so interesting to see how he kept a note of exactly how much he spent on drinks and food etc I bet it’s a whole lot more expensive now! In Thailand he was charged with possessing grass and thrown into jail. This was a particularly difficult experience but even there drugs helped to while away the tedium and anxious waiting for release. In fact drugs feature prominently throughout. It’s amazing what a young body can withstand! We learn of his exploits in Nepal and in India and of the friendships and camaraderie among fellow travellers. In among the minutiae there are also some beautiful descriptions for example of leaving Kathmandu Overall he had a marvellous and life changing experience which he has written about very honestly. Here is a book of diary entries written by a young backpacker touring Asia. I love books like this but was really showing my age when I was surprised by the use of recreational drugs. The kid got caught with a small amount of drugs and is shocked when he got caught up in that country's penal system. This isn't a review of a kid who needs a big reality check so I will not focus on that. All in all, the book kept my interest. I was able to read this book and leave my review in exchange for this interesting book. 4.0 out of 5 stars A Fascinating Journey! I really enjoyed this book. I have never visited Asia so I was keen to experience it through this diarised account of a young man's travels in the 1980's. A sense of honesty comes through, which is a strong influence in this format of writing as it is an open and detailed account of the people, the places and personal adventures he experienced. I applaud the author for including some of what we might call 'ordinary' aspects of travel and day to day living as it reinforces that this is true and not fictionalised. Highly recommended for travel writing fans. 5.0 out of 5 stars A very enjoyable and very detailed diary. 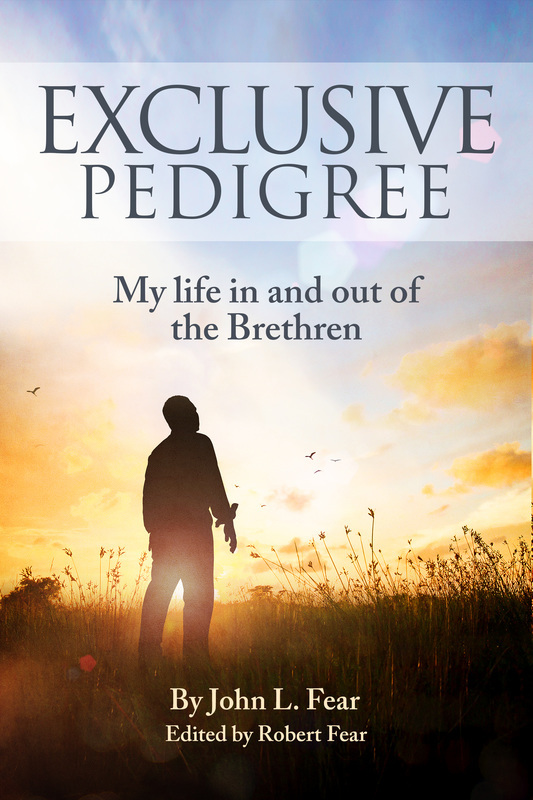 ​I was lucky enough to win a signed paperback copy of this book in a competition. I also have the kindle editions of both the new edition and the older edition, and, at various times, I did read parts of all of them to compare-eg: when I was at a hospital appointment, rather than taking my precious signed copy, I read on the original kindle version-I later got the brand new kindle version and continued reading from the two new editions. I like diary format-this is kept very simple, it feels as if it would be very authentic to the original diary. Some of it is almost just notes then some sentences are fuller. I like how it is as it was then-it's not been written years later and things tried to remember-this is the actual diary he kept at the time. It's now all in one volume and I still re-read and enjoyed the first two sections I'd read previously in his two shorter books (£99 to Hong Kong and Time in Thailand). We’re soon exploring India. This is the kind of writing I love to read; informative, describing the sights, sounds, tastes and smells of the area. We have climate details, these happen throughout his trip and I found it welcome information. It’s very interesting finding out all the places he plans to visit: Agra, Nepal, Sri Lanka. Also very interesting is reading about the night bazaar with all the stalls selling their wares and the food stalls too where the food is cooked on-site. This is a very detailed diary-there really is everything in here-both of local interest etc, the foods he had, how much it cost and right down to the times he woke up and went to bed! A very open, honest and revealing diary which appeals very nicely to my nosey nature. I love reading of other people's travels to far flung destinations. It means I get the feel of going there without all the inconveniences. There are great examples and descriptions of his seeing the sights to be seen-the first bit of the diary doesn't have this because of his unexpected detour to prison! Contained in this book are the author’s adventures, the people he meets: other travellers and locals, the foods he eats, the sights he sees. It's all a very interesting log of a memorable trip of a few months from many years ago. Apple crumble?-I was somehow amused to hear that they do this pudding here! It seemed so out of place and unexpected! Eg: fried rice, daal, vegetable curry......Apple crumble!!!!! Of course, this is in the days before email and he keeps checking if he has any post-only to find there is frequently none. There are news events from the time included-e.g., mention of The Ripper sentenced to life imprisonment. I like how he tells of the books he is reading at various times throughout his trip. One of particular interest, I wondered if this book was still available? It was amazing to think that here was a type of travel book which was interesting ‘Fred’ back then-and he was to end up writing such a book himself. I found this book is still available so this introduced me to yet another book! This is the kind of thing I do-I don’t just read quickly through something-for those few days or week etc. when I’m reading a book such as this, I live it!-I enjoy looking things up and finding out more about the places mentioned etc. I love lots of detail and I get so much out of it. I realise that, for some people, the detail may be a bit exhaustive and indeed, this new edition has quite a few pages less than the original one-but, it’s just my sort of thing. I loved the intrigue about whether Rita would reply, what was going on? Was it on or off with her? Fred certainly keeps us guessing with the Rita aspect! So he mentions he did take plenty of pictures-I would have liked some in here. Oh my goodness! But oh my how interesting where they see the bodies burning and about what they do with the ones not cremated. And another thing-he's brought out this new edition-and this year 2015-has exactly the same days and dates as 1981. I do like how things tie in like this-what a great idea to bring out a new edition in a year which mirrors the original. It's great, it's just written in normal, everyday language-a genuine, authentic, REAL diary. Just read it like that, it's not meant to be an action novel! Just real, true, raw. And I like that. Oh my goodness, SO interesting-the bit about the Hanging Gardens. I was reading this book whilst waiting for a hospital appointment and was so engrossed in it that I jumped out of my skin when the doctor called my name out! This is a record of an experience, a moment in Fred's history, it tells it like it was. It doesn't need any dressing up. I really enjoyed it. The diary has engrossing moments and more 'normal' moments too-this is real life. This is an edited and updated edition and I noticed on comparing my different editions that some bits are missed out-I loved all the details but I accept he may have been recommended to take some excess out. There’s still plenty of detail and info in here-a great record of Fred's trip, very enjoyable. I was unsure whether I could / should review this book as I contributed a couple of stories, but then I reasoned that there were so many more to read it deserved a review. The subjects ranged from one side of the world to the other and gave a wide flavour of different genres and experiences. There were a couple I did not enjoy, I felt they did not fit in too well with the rest of the book thus the reason for only 4 stars. 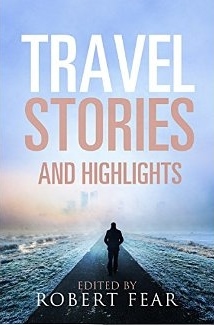 Amazingly varied selection of travel highlights covering numerous countries, different aspects of travel and very varied writing styles. A great opportunity to delve into the lives of a number of published authors and enjoy their journeys. Definitely made me want to read more of their work too. It was a terrific book to be able to dip in and out of when I didn't have large chunks of time available to be able to read a book from cover to cover. ​5.0 out of 5 stars Fab compilation of travel shorts! A very interesting and enjoyable collection of 'shorts', some of them very short but none the less impactful for that (I particularly enjoyed Graham Higson's and Jacky Donovan's offerings), some of them rather longer and really catching the flavours of countries like India (Gareth Nixon) and Thailand (Doug Jones). There really should be more books like this, go on Mr Fear, knock out another one! 5.0 out of 5 stars An amazing collection!